All graduate programs in conducting require a pre-screening, so applications must be submitted by the Priority deadline of December 1. Pre-screening materials will be submitted online using Acceptd. Applicants must submit concert programs and a video recording (facial view preferred) of at least thirty minutes of music that provides examples of the applicant's conducting ability. Additional materials may also be requested depending on the applicant's area of emphasis. On the basis of a review of these materials, a limited number of applicants will be invited to campus for an audition/interview. At this time the applicant will be asked to rehearse and conduct a university ensemble. Repertoire will be selected by the conducting faculty and may include one work to be dealt with at sight. Following the conducting audition, applicants will be interviewed by the admissions committee. The interview will include questions concerning the literature rehearsed, rehearsal techniques, repertoire, and personal goals. 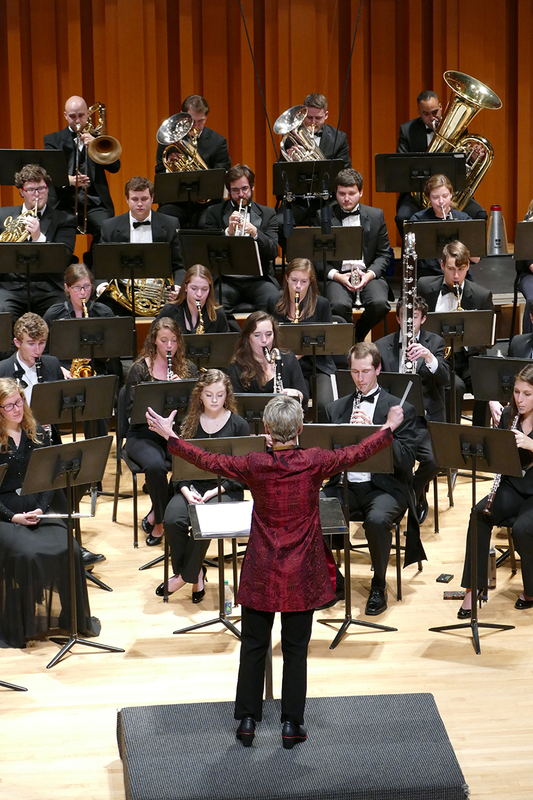 For more details on the graduate wind conducting application process, please visit the UGA Bands website. In addition to the conducting video, all graduate applicants should also submit a brief audio or video recording demonstrating the level of ability on the applicant's major instrument (voice, piano, organ, etc.). A 5-10 minute excerpt from a senior or junior recital would suffice. Applicants for the DMA should submit a writing sample that demonstrates the applicant's ability to write analytically and formally about music—including discussion of such issues as style, form, performance practice, and/or other musicological topics. A paper that was completed during the candidate's MM degree or within another academic program would suffice. The writing sample should be 5-10 pages in length.